The Supervisor is responsible to directly interacting with customers for the purpose of profitably providing fast, friendly service and to provide day-to-day prioritization of work assignments to the Store Team Member staff. 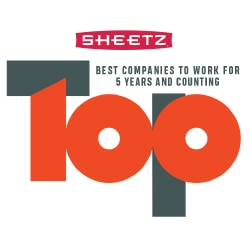 The perfect fit for our Sheetz team would assist the Store Manager and Assistant Manager in creating a positive culture by treating employees fairly and with respect. Additionally, they would be self-motivated, dependable and able to work effectively in a fast-paced environment while maintaining 100% total customer focus.